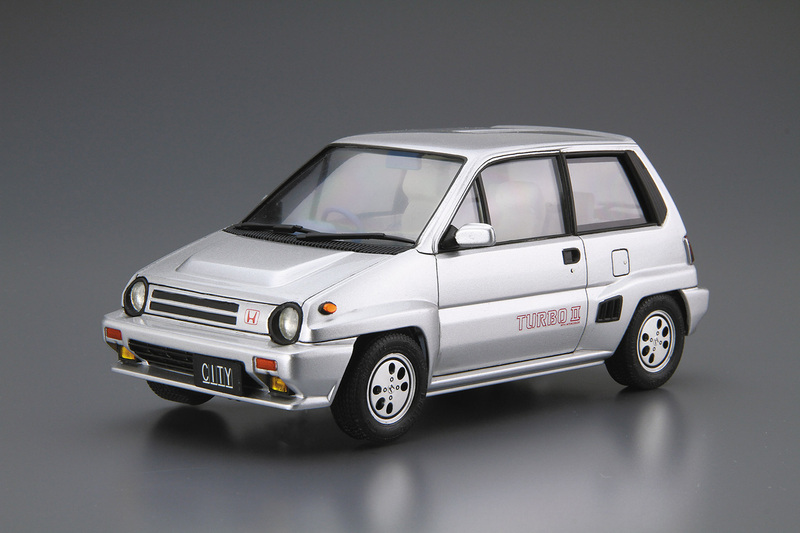 The AA model City Turbo II was released in October 1983 to replace the City Turbo I. Compared to Turbo I, the added inter cooler gave Turbo II an increased power of 110 PS at 5,500 rpm. Another feature added was the ‘Scramble Boost' system which gave the car a boost when throttled at under 3,000 rpm. For exterior, the front/rear fender and bumper were renewed. The new feature and exterior made the City Turbo II an aggressive, fun to drive hatchback. 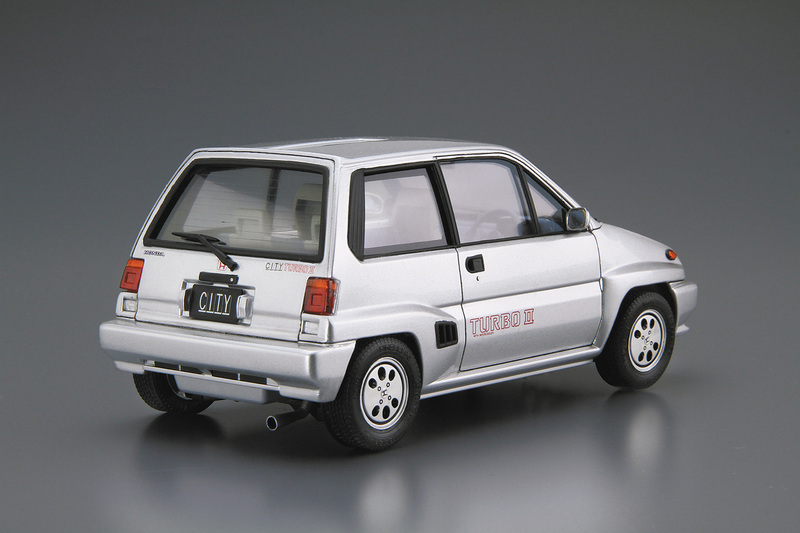 This kit replicates the AA model City Turbo II in its catalog specification. 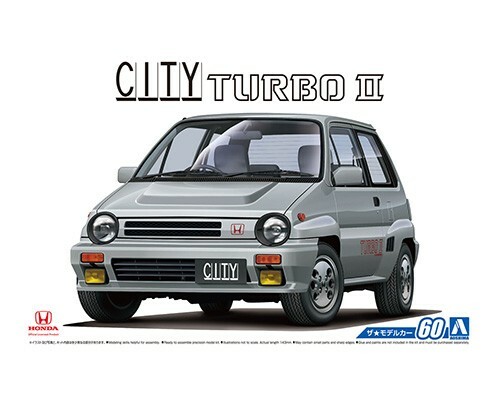 With the additional spoilers, bucket seat and roll cage, you are able to build the City Turbo II to your preference.